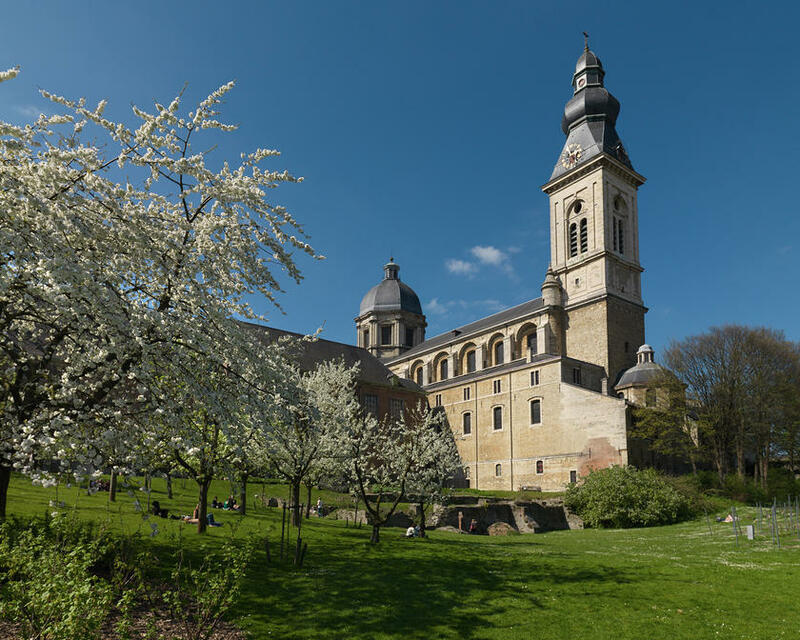 St. Peter's was founded in the late 7th century by Amandus, a missionary sent by the Frankish kings to Christianize the pagan inhabitants of the region, who founded two monasteries in the area, St. Bavo's, and St. Peter's on the Blandijnberg. During the winter of 879-80, the abbey was raided and plundered by the Normans, and it remained relatively poor until the 10th century, when donations of property and relics by Count Arnulf I considerably enriched it, as did further donations by Arnulf's cousin King Edgar of England. By the second half of the century it was the wealthiest abbey in Flanders, and the reputation of the abbey school extended far beyond the town. In 984, Gerbert of Aurillac, director of the cathedral school of Reims, (later Pope Sylvester II) inquired whether students from Reims could be admitted to St. Peter's, and its renown as a centre of artes liberales continued into the 11th century. St. Peter's, through its ownership of large tracts of land, also played a pioneering role in cultivation during the 12th and 13th centuries, transforming forests, moors and marshes into farmland. In the 15th century a large scale programme of construction created the abbey library and scriptorium, enlarged the refectory, and the abbey church and other buildings were considerably beautified. St. Peter's first decline began following the Revolt of Ghent in 1539, and by the 1560s the Low Countries were plunged in a religious crisis that resulted in an attack by iconoclasts in 1566 in which the abbey church was wrecked, the library looted, and other buildings badly damaged. The infirmary was pressed into service as a temporary home for the monks and the refectory used as a place of worship. However opposition continued and in 1578 the abbot and monks were forced to flee to Douai. The abbey buildings were sold at public auction and were partly demolished, the materials being used to construct the city walls. The abbey finally came back into the hands of the church in 1584, and it was eventually rebuilt, with a new abbey church, begun in 1629, in the Baroque style, as well as several other new builds and refurbishments. During the 18th century, the abbey was once again flourishing, as new buildings were constructed and older ones enlarged, including the conversion of the old dormitory into a library with more than ten thousand books. However, the end was not far off, first with the Brabant Revolution of 1789–90, then the French invasion of 1793. Finally, on 1 September 1796, the Directory abolished all religious institutions. In 1798 the library was emptied and eventually taken to the University of Ghent. From 1798 the abbey church was used as a museum, but was returned to the ownership of the church in 1801. 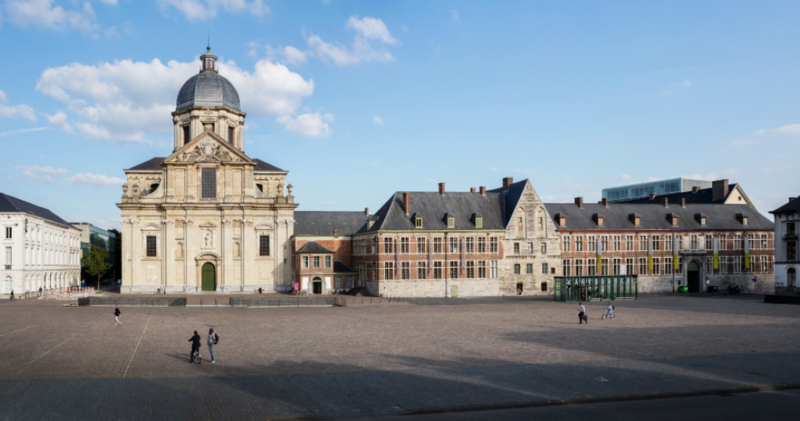 In 1810, the rest of the abbey became the property of the city of Ghent, and was partially demolished for the construction of a military barracks, which remained on the site until 1948. Around 1950 the city launched a programme of restoration, which is still ongoing, which began with the cloister and chapter house, then the west wing, including the old refectory and kitchens. Work on the wine cellars and attics was completed in the 1970s, and in 1982 work on the abbey gardens was completed, and in 1986 the terrace. In the 1990s restoration of the refectory wing began. 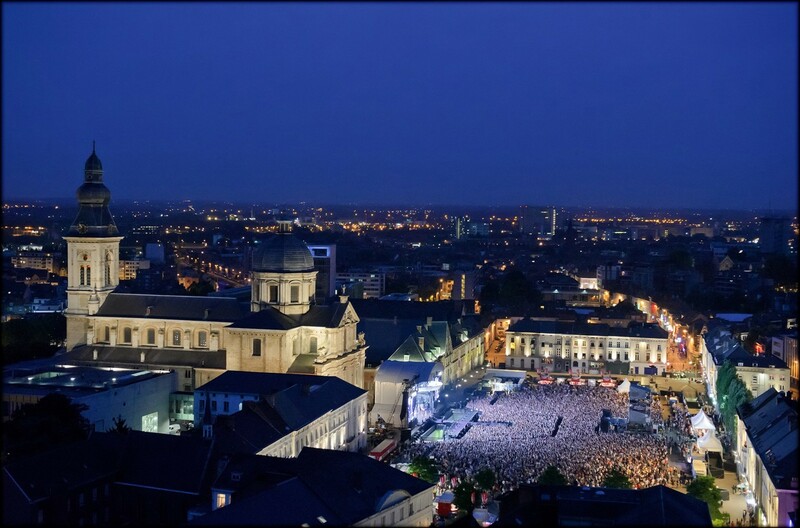 The abbey is now used as a museum and exhibition centre, which in 2000 housed a major exhibition as part of the Year of Emperor Charles, and in October 2001 hosted the 88th meeting of the European Council.